Brexit and the Eastern Partnership – opportunities as well as risks? Barring any last-minute drama, the United Kingdom will cease to be a member of the European Union in just a few months’ time, on 29th March 2019. Brexit represents a fundamental challenge to the European Union, which will lose its second biggest economy and a critical security actor. It also poses a serious questions over the future of the EU itself. It has shown that the direction of travel for EU states is not foreordained; countries can leave as well as join the bloc; and “ever-closer Union” is not inevitable. Moreover, the concerns that drove the UK to leave the EU –over immigration, sovereignty and democratic control – are not unique to British voters. It is widely assumed that Brexit is bad news for Eastern Partnership countries. On a financial level, the UK’s withdrawal means the EU will leave a €94 billion hole in the next budgeting round for 2021-27 (the Multiannual Financial Framework, MFF), potentially reducing the funds available for external engagement. However, the EU Commission’s proposals for the MFF have recommended covering these costs through cuts to the Common Agricultural Policy and the Cohesion Funds for existing members. Spending on external action, security and defence is set to rise under the Commission’s proposals. Under the plans, the budget for the Neighbourhood Development and International Cooperation Instrument will rise by 30% at current prices (or around 20% in real terms). Beyond financial considerations, the risks posed by Brexit for Eastern Partnership countries are still up in the air. A lot depends on what is agreed, or not, between the EU and the UK before March next year. With fewer than six months to go, there remains a real risk of a cliff-edge “no deal” Brexit, in which the UK leaves the EU without an agreement on transitional arrangements to a new trading and legal relationship. At an EU summit in Salzburg in late September, EU leaders publicly rejected the UK’s proposals for a future trade agreement. There is still time for the two sides to overcome the remaining differences, but even if a deal is the reached there is no guarantee that it will pass the UK House of Commons, where the ruling Conservative Party does not have a majority. 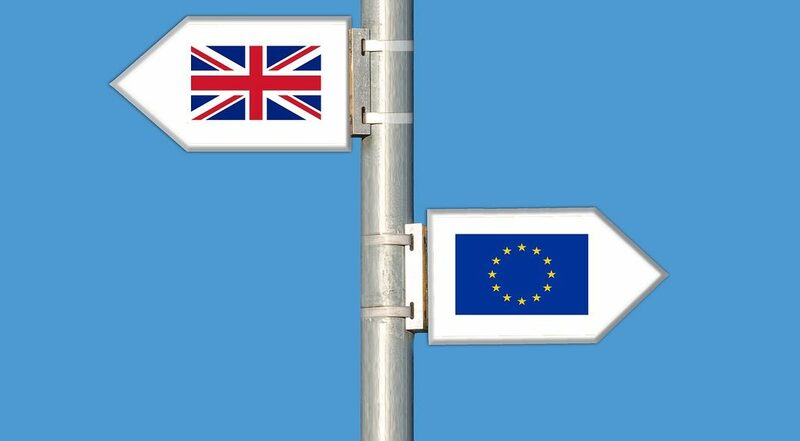 Both the UK and EU want to avoid a cliff-edge Brexit, but the nature of the withdrawal process means it becomes the default if an agreement is not ratified by 29th March 2019. In mid-September, a panel of experts surveyed by the UK in a Changing Europe initiative put the risk of No Brexit at around 50%. The legal and regulatory vacuum arising from a chaotic “No Deal” Brexit would inflict serious damage on the UK economy. More consequentially for Eastern Partnership countries, it could lead to a breakdown in normal diplomatic relations between the UK and EU. Amid financial upheaval and mutual recrimination, public opinion and political discourse in the UK could take a sharply nationalist turn. No one really knows how long a No Deal Brexit could be sustained, but the potential for it to inflict long-standing damage on UK-EU relations is high, undermining the potential for ongoing strategic and foreign policy cooperation in the short to medium-term. A breakdown in relations between the UK and the EU is clearly not in the interests of the Eastern Partnership countries. It is already widely argued that the EU’s internal problems leave it with little bandwidth to pursue further engagement with its eastern neighbours. To date, the EU has been remarkably successful at maintaining a collective position on Brexit and compartmentalising the negotiations within a clearly delineated process. This unity and coherence would likely fall apart in the case of a chaotic Brexit. For many EU states, future relations with the UK would suddenly become the primary major foreign policy concern and the divergent foreign policy positions of the member states would likely come to the fore. That is the worst-case scenario. If a deal can be ratified, however – and there is still good reason to think this is possible – the implications for the EU’s eastern neighbours is less clear. The Eastern Partnership countries have traditionally viewed the UK as an important diplomatic and security partner, and a valuable advocate for Euro-Atlantic integration in both Brussels and Washington. For example, even as it has been preparing to leave the EU this year, the UK has been making the case for further enlargement of the Union in the Western Balkans to strengthen regional security and political cooperation. The UK has traditionally acted as an important bridge between the EU and the US, helping to keep the US engaged in European affairs as its strategic focus shifts ever more towards the Pacific. Again, it has continued to do this as it leaves the EU. In early October, the Wall Street Journal reported that Theresa May has privately impressed Angela Merkel by making the case to Donald Trump about the importance of NATO. The UK’s withdrawal from the EU could shift the balance of power and interests in the bloc in a direction which will not favour Eastern Partnership countries. However, there are some reasons for optimism. First, given that after Brexit the UK will not have a seat at the table in Brussels for most inter-governmental discussions, the UK is likely to double-down on its role as a key security provider in Europe to retain influence. Engaging with and supporting the EU’s neighbourhood policies would be an excellent way to maintain trust and influence within the EU and wider Europe. And given the current state of UK-Russia relations, the UK has a direct interest in pursuing this. Second, quixotic as it may sound, Brexit may present an opportunity for the EU to reframe its broader approach towards the Eastern Partnership countries. The fundamental problem of the Eastern Partnership is that it uses a conditionality toolkit applied in the past to pre-accession states without offering any realistic prospect of membership. At the same time, in constructing itself as the dominant normative power in the region, it condemns those outside the bloc to peripheral status. If the UK can succeed as a prosperous, peaceful and democratic state outside the EU (but undoubtedly with close trade and security ties to it), this will break the EU’s de facto monopoly on what it means to be European. This could open the way to a new institutional architecture in Europe, helping to avoid the risk of strategic and institutional drift. Alex Nice has ten years’ experience conducting research on Russia’s economy, domestic politics and foreign policy within the NGO, academic and corporate sectors. He is an EDSN Fellow and a Senior Editor for the FPRI’s BMB Russia and from September will be a Think Visegrad Visiting Fellow at the Polish Institute for International Affairs (PISM) in Warsaw.